Until now (except a small fragment from an anonymous Syrian source that gave a small opening phrase of Marcion's Gospel or Antitheses) scholarship had no direct access to any original writings by the Roman teacher Marcion of Sinope. If what the arguments below satisfy colleagues in the field, we have, for the first time, at least a few introductory texts from the hands of Marcion. 1. Heb. was certainly missing. 3. Gal. came before 1Cor. 4. Col. came before Phil. 5. 1Thess. came before Phil. 6. Either the prologue to Eph. or to Col. does not come from the pen of the author. 7. The prologue of Col. can only be understood, if it was preceded by a prologue to an Epistle to the Laodicenes. 3. First came Gal., then 1-2Cor. 5. 1-2Thess. came before Phil. 6. There was no prologue to Eph. 7. Eph. was called Epistle to the Laodicenes. Of course, such a parallel, or, as U. Schmid argues, a pre-Marcion collection of Pauline Letters could have existed, but the question remains, whether it can be deduced from these Prologues, and these prologues alone. Already Nils A. Dahl was cautious, as he admitted that ‘a Marcionite origin for the ancient Latin prologues carry more weight than the opponents of the theory have been willing to concede’, but he concluded that their Marcionite character was ‘both unnecessary and improbable’, only because of their ‘attestation and history of the transmission’. Dahl’s counter-argument, however, rests on the assumption that a Marcionite collection, endorsed with Marcionite Prologues, could not have been so widely received in the West because of Marcion’s heretical nature. This argument is similar to the parallel one – to which U. Schmid even alludes – that, because so many Western textual variants in NT witnesses are Marcionite, Marcion cannot be the author of the underlying text, but that Marcion himself must have been drawing on an older orthodox textual basis. Both of these lines of thinking assume, however, that in Marcion’s time we are dealing already with a separation between orthodoxy and an arch-heresy of Marcion and that orthodoxy has to predate heresy. Once such antithesis is revealed as being anachronistic, as it was only gradually achieved in response to Marcion’s antithetical position that conceptualized ‘Christianity’ in contrast to ‘Judaism’, Dahl’s improbability is removed and ‘the striking similarities between Marcion’s Apostolikon and the original prologues’, as he states, need further investigation. In addition, several arguments that Schäfer advanced had not been taken into account by Dahl and Schmid, although some of them were related to the reception of these Prologues (for example in Marius Victorinus and Ambrosiaster), another to the relation to Acts. In addition, according to the Prologues Paul is seen as being incarcerated while writing Col., Phil. and Philem., as if he had been in chains during his journey via Ephesus to Rome. No reader of Acts – a text not recognized by Marcion, but, if Irenaeus is correct, written against him in defence of Luke – could have accepted this view of Paul’s journey, a strong argument in favour of a Marcionite origin of the Prologues. To Schäfer’s arguments I’d like to add a few more which have not been seen in the past, the most important of which makes it very likely that in these Prologues we have the rediscovered and recovered work of Marcion himself. Tertullian does not only clearly states that the ordering of the letters was an important argument in Marcion, but, what has been overlooked, he himself knows of and refers to these Prologues in the opening sections where in Adversus Marcionem he discusses each of Paul’s Letters as given by Marcion. Although our sources differ towards the end, the opening of the collection with Gal., 1-2Cor., Rom., followed by, as it seems from Tert./Epiph., 1-2Thess. and Laod. and Col. is likely. The position of Phil. and Philem. is less certain, and apparently, as can be seen from the Can. Sin. pseudo-Pauline letters like Hebr. and the Pastoral Letters have been included only later. C = Colmar 38, 8th c.
E = Engelberg 5, 12th c.
R = Regin. 9, Vatican, 7th-8th c.
V = Vallicellianus B 6, 9th c.
W = Würzburg M th. F. 12, 8th-9th c.
r = fragments of the Itala, preserved at Freisingen and Munich, a hand of the 6th c. has added Prologes to Phil. And 1Thess. Galatae sunt Graeci. hi verbum veritatis primum ab apostolo acceperunt, sed post discessum eius temptati sunt a falsis apostolis, ut in legem et circumcisionem verterentur. hos apostolus revocat ad fidem veritatis scribens eis ab Epheso. The Galatians are Greeks. At first, they accepted the word of truth from the Apostle, but after his departure they were tempted by false Apostles, so that they converted to the law and circumcision. These the apostle calls back to the faith of truth, writing to them from Ephesus. Corinthi sunt Achaici. et hi similiter ab apostolo audierunt verbum veritatis et subversi multifarie a falsis apostolis, quidam a philosophiae verbosa eloquentia, alii a secta legis Iudaicae inducti sunt. hos revocat apostolus ad veram et evangelicam sapientiam scribens eis ab Epheso per Timotheum. The Corinthians are Achaeans. Similarly, also they heard from the apostle the word of truth, but in many ways were subverted by false apostles, some led away by the verbose eloquence of philosophy, others misled by a sect of the Jewish law. These the apostle calls back to the true and evangelical wisdom, writing to them from Ephesus through Timothy. Post actam paenitentiam consolatorias scribit eis a Troade et conlaudans eos hortatur ad meliora. After penitence was made, he writes consolatory words to them from Troas, and also praising them he exhorts them on to better things. Romani sunt in partibus Italiae. hi praeventi sunt a falsis apostolis et sub nomine domini nostri Iesu Christi in legem et prophetas erant inducti. hos revocat apostolus ad veram evangelicam fidem scribens eis a Corintho. The Romans live in the regions of Italy. They had been reached by false apostles and in the name of our Lord Jesus Christ they were misled into the Law and the Prophets. These the apostle calls back to the true evangelical faith, writing to them from Corinth. Thessalonicenses sunt Macedones in Christo Iesu. hi accepto verbo veritatis perstiterunt in fide etiam in persecutione civium suorum; praeterea nec receperunt ea quae a falsis apostolis dicebantur. hos conlaudat apostolus scribens eis ab Athenis. The Thessalonians are Macedonians in Christ Jesus who, after the word of truth was accepted, persisted in the faith even during the persecution by their fellow city; furthermore, they did not receive those things which were said by the false apostles. These the apostle praises, writing to them from Athens. Ad Thessalonicenses scribit et notum facit eis de temporibus novissimis et de adversarii detectione. scribit ab Athenis. To the Thessalonians he writes and makes note to them concerning the very novel times and of the detection of the adversary. He writes from Athens. Laodicensis sunt Asiani. Hos conlaudat beatus apostolus Paulus quod semel accepta fidem evangelicam perstiterunt in verbo veritatis scribens eis. The Laodiceans are Asians. These, the apostle Paul also praises that, once they had accepted the evangelical belief, they persisted in the word of truth when he wrote to them. Colossenses et hi sicut Laodicenses sunt Asiani. et ipsi praeventi erant a pseudoapostolis, nec ad hos accessit ipse apostolus, sed et hos per epistulam recorrigit. audierant enim verbum ab Archippo qui et ministerium in eos accepit. ergo apostolus iam ligatus scribit eis ab Epheso. The Colossians, they too are Asians, just as the Laodiceans. And even though they had been reached by pseudo-apostles, while the apostle himself had not reached them, even these he corrects through an epistle. For they had heard the word from Archippus, who also accepted the ministry to them. The apostle therefore, already arrested, writes to them from Ephesus. Philippenses sunt Macedones. hi accepto verbo veritatis perstiterunt in fide, nec receperunt falsos apostolos. hos apostolus conlaudat scribens eis a Roma de carcere per Epaphroditum. The Philippians are Macedonians. Once they had accepted the word of truth, they persisted in the faith, and did not receive false apostles. These the apostle also praises, writing to them from Rome, from prison, through Epaphroditus. Philemoni familiares litteras facit pro Onesimo servo eius. scribit autem ei a Roma de carcere. He composes familiar letters to Philemon on behalf of Onesimus his servant. He writes to him, however, from Rome, from prison. Timotheum instruit et docet de ordinatione episcopatus et diaconii et omnis ecclesiasticae disciplinae. He instructs Timothy and teaches him concerning the ordination to the episcopate and to the diaconate and concerning all aspects of ecclesiastical discipline. Item Timotheo scribit de exhortatione martyrii et omnis regulae veritatis et quid futurum sit temporibus novissimis et de sua passione. Likewise he writes to Timothy concerning the exhortation to martyrdom and all aspects of the rule of truth, and what will be in the last times, and concerning his own passion. Titum commonefacit et instruit de constitutione presbyterii et de spiritali conversatione et hereticis vitandis qui Iudaicis fabulis credunt. The first noticeable feature of the Prologues to Gal., 1Cor., Rom., 1Thess., Laod., Col., Phil. (and to some extent Philem.) is their coherent structure and terminology: They all give the region or place of the addressees, their situation when they received the letters, the aim of the letter and the background of the sender. Different in content and structure are the Prologues to 2Cor., 2Thess. and to the Pastoral Letters, one of the reasons that de Bruyne regards them as ‘Catholic Prologues’. Building on de Bruyne, Harnack has highlighted that these Prologues (including Prol. 2Cor. and 2Thess., he made the exception of the Prologues to the Pastorals only which he believed were of a different character) belong together. Harnack’s grouping of these Prologues will be confirmed in the light of Tertullian’s testimony. from the very outset [was] an eminently syncretistic and, for precisely that reason, from the very outset also the catholic religion … adapted to the numerous and manifold demands of the widest circles, diverse because of their different situations and varied education. In the course of its development it could become more complicated but not more multifaceted than it already was upon its entrance into the Roman empire. That the Apostle has to call the audience back to the ‘belief of the truth’, is certainly not about dogmatic truths and the removal of errors, but about a way of life which according to the Prologues was perverted by false apostles who have been led away from Paul’s way of life according to the ‘word of truth’ to that of Jewish practice according to the Torah, ‘the Law and the Prophets’. The Marcionite character of these Prologues were discovered, first, by the order of the letters which was gained by internal evidence. The indication of ‘similiter’ in the beginning of the Prologue on 1Cor. was seen by de Bruyne as a references that presupposed a Prologue to a letter where also mention must have been made to people who had ‘heard the word of truth’, something which is only re-occurring in the Prologue to Gal. (different, for example, from this we read in the Prologues to Eph., Phil., 1Thess. the mentioning of having ‘accepted the word of truth’). The counter-argument to de Bruyne, mounted by W. Mundle, namely that this ‘similarly’ of the Prologue to 1Cor. could also refer to the second part of the opening of the Prologue to Rom. (‘They had been reached by false apostles’), has, however, already been questioned by Mundle himself. In the Prologues, the readers had been introduced to the truth by ‘the Apostle’ Paul (Laod.) alone, not by the plurality of Apostles who always appear with the adjective ‘false’ (Gal., 1Cor., Rom., 1Thess., Phil.) or ‘pseudo’ (Col.). As a result, Paul has a double task to call the believers back to wisdom, away from the misleading verbose eloquence of philosophy to true wisdom, and away from a Jewish Torah orientation to the wisdom of the Gospel. This insistance on the triple antithesis between philosophy and wisdom, the Torah and the evangelical faith, ‘the Apostle’ with his ‘word of truth’ on the one side, and on the other side the Jewish sect (with their identity marker of circumcision and their sacred Scriptures), fully matches what we have learned from other sources about Marcion’s views. The Apostles’ task is to call back, to exhort or correct the believers (revocare: Prol. Gal., Prol. 1Cor., Prol. Rom. ; hortari: Prol. 2Cor., recorrigere: Prol. 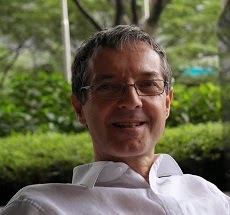 Col.), but he is not judgemental, but praises people (conlaudare: Prol. 1Cor., Prol. 1Thess., Prol. Eph.). Even where mention is made of ‘penitence’ (paenitentia: Prol. 2Cor. ), Paul’s consolation is made of a praisful exhortation (‘conlaudans eos hortatur ad meliora’). If there is one passage which Tertullian fully embraced in all its radicality, then it is the commandment, not to judge (Luke 6:37). In his work De pudicitia which, according to Karlmann Beyschlag had better been called ‘De impudicitia’, Tertullian adopts Marcion’s own arguments: ‘God is good, the best, the merciful … therefore, he does not want the death of sinners, but their penitence … therefore, we too shall be sons of God, merciful, peaceful, forgiving each other, as Christ forgave, without judgement, so that we will not be judged’. We cannot find any criticism against Marcion in Tertullian about the radicality of this commandment. Instead, he uses the passage to turn it into an argument in favour of a God of rewards, stressing with Marcion the non-judgemental God who is not condemning, but merciful, peaceful and forgiving. The Prol. Rom. brings another Marcionite feature, it is the claim that the false apostles did not only mislead the Romans into the Law and the Prophets, but that this happened ‘in the name of our Lord Jesus Christ’. This is perhaps the closest parallel description of what we read above when according to Tertullian Marcion complained that his own Gospel was used, copied and linked back to the Law and the Prophets. These false apostles did not only use the Law, but made the Lord Jesus Christ himself showing the way to the sect of Judaism. Hence, the Prologue’s statement is made that Paul had to call the Romans ‘back to the true evangelical faith’, the faith expressed in the true Gospel. Unlike the addressees of the previous letters, the Thessalonians ‘persisted in the faith’ and this despite being persecuted ‘by their fellow city’. Moving from content to structure, we can follow de Bruyne and Harnack in their observations which were even accepted by Dahls and Schmid that the opening order of letters (Gal., 1-2Cor. ), indeed, matches the one which we have seen above to be that of Marcion’s collection. When Mundle infers that this is also the order that some important witnesses of the Syrian Church like, for example, the above listed Can. Sin. and Ephrem display, he, again, admits that this sequence ‘somehow derives from Marcionite influence’. In both cases, therefore, while trying to argue against de Bruyne and Harnack, he is rather confirming their position. In contrast, he thinks, to have a stronger case pointing to the existence of Prologues to the Pastoral Letters which according to our sources Tertullian and Epiphanius where not part of Marcion’s Apostolicon. Before we look at these Prologues, let us review the content of the other ones which has not been fully explored in previous scholarship. As de Bruyne and Harnack have already highlighted (and which has only been confirmed by Schäfer and Dahls), the Prologues display important Marcionite features, not all of which, however, have been detected by scholars in the past. Before we look at details, I’d like to draw our attention to the order of letters which provide us already with the first unrecognized Marcionite element. U. Schmid has rightly worked out – on the basis of the information that is given in the Prologues – that the letters are given in historical order: Gal. and 1Cor. are written from Ephesus, 2Cor. from Troas which is on the way from Ephesus to Corinth, from where Rom. is written. 1-2Thess. are written from nearby Athens. The next letters are all written while Paul was a prisoner, although the location alters between Ephesus (Col.) and Rome (Phil., Philem.). And yet, the only indications Paul gives from where he wrote letters are 1Cor. 16:8 (‘I will stay in Ephesus until Pentecost’) and 1Thess. 3:1 (‘we decided to stay on in Athens alone’). In addition, he added in Philem. 9 that he was ‘an old man and even now a prisoner’ which provided a good reason, for placing this letter last in the collection. To what Schmid has seen as a historical ordering, we have to add that the letters also emphasize geography on a line between Ephesus and Rome, which, of course, reminds us of Papias’ mention of Marcion’s acquaintance with John (in Ephesus) and the place where Marcion went teaching, Rome. As the repetitive insistence at the end of each Prologue (which only changes with the Prologues to the Pastoral Letters) shows, the organisation of the Pauline Letters not only followed – as indicated by Tertullian – a theological agenda, but also a geographico-historical one, and in this expresses the same feature as does the opening of Marcion’s Gospel which begins with the Saviour’s coming down into historical time and a political space (‘In the fifteenth year of the reign of Tiberius Caesar, when Pontius Pilate was governor of Judea, Jesus who had come down from above into Capernaum, a city of Galilee, appeared and began teaching in the synagogue’). Our reading of these Prologues reveals important Marcionite features, the most obvious being the difference between ‘the Apostle’, and ‘the false Apostles’. Paul is mentioned by name in Laod. The ‘word of truth’ and the ‘belief of truth’ reminds of Paul in Gal. 2:5.14 (hJ ajlhvqeia tou' eujaggelivou) and Tertullian reporting Marcion’s claim that his Gospel was the ‘true’ one, and also Papias’ discussion in the Prologue to John. The first Prologue on Galatians is explicit. The temptation that befell the Galatians was not a more general one, to move away from Paul, but a specific one, namely to move away from the ‘word of truth’ and to convert towards ‘law and circumcision’ (lex et circumcisio) which, as the next Prologue of 1Corinthians specifies, was a conversion to the ‘sect of the Jewish law’ (secta legis Iudaicae). As has been noted – and for a long time already been seen – these Prologues are referring to each other, although they must not have been given in a list prefacing the entire collection of the epistles – as their later transmission prefacing each of the letters proves. Although Henry J. White played with the idea that they may derive from Marcion himself, Harnack rejected this suggestion with the argument that Tertullian would have brought their nasty tendency to light if he had known of them, even if in his footnote he partly withdraws from his counter-argument of them being not penned by Marcion, as he sees the parallelism between the Antitheses and these Prologues. Harnack, however, and, following him, all subsequent scholars missed that Tertullian, indeed, knew these Prologues and draws on them in each of the openings of his commentary on Marcion’s version of Paul’s letters in Adversus Marcionem V.
In his commentary on Marcion’s version of Paul’s Galatians Tertullian mentions first ‘the abolition of the ancient law’, ‘the dismantling of the law, and the establishment of the gospel’, a first hint that he had read the Prol. Gal. together with Marcion’s version of Gal. This hint is supported and confirmed by Tertullian’s discussion of the next epistles. In the opening on 1Corinthians he begins by widely expounding on ‘wisdom’ as a topic which is core to Prol. 1Cor. The clearest evidence of Tertullian’s use of the Prologues, however, derives from his discussion of Romans. Here he himself admits in his first sentence that he wishes to skip many topics, as they had been dealt with by him already, but the one element that he concentrates on is precisely what is hinted at in Prol. Rom., the antithesis between ‘law and prophets’ and the gospel. Tertullian is tired, talking again about the Jewish Scriptures, the law and what has been prophecied, but in answering the Prol. Rom. which specifically refers to the Scriptural basis of the Jewish sect, the ‘Law and the Prophets’ (lex et prophetae) in antithesis to the ‘true evangelical faith’s, he sees the need to deal with this topic again and even admits that ‘this present epistle is seen for the most part to put the law into abeyance’, a view that not only conforms to that of the Prologue, but is also referred to (‘is seen’) by Tertullian, hence not originally his own view. In the opening on 1Thess. he, indeed, discusses persecution, pointed out in the Prologue (Prol. 1Thess. ; Adv. Marc. V 15). On Laod. Tertullian discusses the address itself, as he makes the case that Marcion had altered it, so that the letter was not addressed to the Ephesians, but the Laodiceans, an information which he could have only gained from the Prologue, as the letter itself does not specify to whom it was written. On Col. Tertullian mentions the historical order of orthodoxy and heresy, and emphasises that the Colossians ‘had heard the word of the truth of the gospel’, a topic inspired by the Prologues, but also necessary through the Prologue on Colossians which mentions the pseudo-apostles first, ‘while the apostle himself had not reached them’, and the fact that the Colossians ‘heard the word from Archippus’ second (Prol. Col.; Adv. Marc. V 19). On Phil. Tertullian talks about the ‘various fashions of preaching that some out of confidence in his bonds were more boldly preaching the word, while some through envy and strife, certain of them even of good will for the word, a certain number because of affection, not a few from hostility, and some even from contentiousness, were preaching Christ’ which unfolds the distinction made between ‘the word of truth’ and the ‘false apostles’ Prologue (Adv. Marc. V 20). When we compare Tertullian’s further introductory remarks about Marcion’s versions of Pauline Letters with the respective Prologues, we notice further drawings of him on the Prologues: On 2Corinthians he first deals with God’s ‘mercy’ and, against Marcion, tries to show that God must also be thought of as ‘judge’, which makes it likely that he also had read Prol. 2Cor. which itself may have picked upon 2Cor. 1:3-2:13 and the discussion of penitence and consolation. According to this Prologue, Paul praises and exhorts the Corinthians without reprimanding them, a Marcionite tenet. In the beginning on 2Thess. 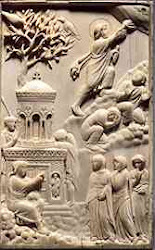 Tertullian brings up the topic of the eschaton, ‘the revelation of the Lord Jesus when he comes from heaven’ which makes apparent ‘the son of perdition’, ‘the antichrist’, the topic indicated in the Prologue (de temporibus novissimis et de adversarii detectione), a clear sign that he had in front of him this text from the Prologue (Prol. 2Thess. ; Adv. Marc. V 16). Tertullian also mentions Philem. and ‘the letters made out’ for him (litteras factas) which literally quotes the Prologue (litteras facit), a writing which ‘has so profited by its brevity’. 1:10 For there are many rebellious people, idle talkers, and deceivers, especially those from the circumcission, 1:11 who must be silenced because they mislead whole households by teaching for dishonest gain what ought not to be taught ...For this reason rebuke them sharply that they may be healthy in the faith 1:14 and not pay attention to Jewish fables and commands of people who reject the truth. If these texts were critical of Marcion, they had adopted Marcion’s criticism of the Jews, and the Prologues to these letters highlighted such elements and made a direct connection both with the Prologues of the other letters, but also with Marcion’s theological position. The Prologue to 2Tim., for example, talks about ‘all aspects of the rule of truth’ which reminds of what is said about the ‘word of truth’ or the ‘faith of truth’ in the Prologues to Gal., 1Cor., 1Thess., Phil., or ‘the true evangelical faith’ in that to Rom. and similar to Laod., while its ‘exhortation to martyrdom’ hints at a core Marcionite emphasis of martyrdo and the mentioned ‘last times’ corresponds with the Prologue to 2Thess. And and yet, as de Bruyne has rightly stressed, their emphasis on moral topics (see. However also 2Cor. ), on church leadership and discipline and their structure with the missing location from which the letters are written make these Prologues differ from the first set. Moreover, as Tertullian explains, the fact that these three letters were not part of Marcion’s Apostolikon astonished him, perhaps, because he could see some of the similarities between their content and that of the other Pauline letters, highlighted by the various Prologues. Given the Marcionite character of the Prologues to the first set of letters, recognized by Marcion, and some Marcionite features in the Prologues to the Pastoral Letters, it seems that Marcion’s collecting of Pauline Letters and prefacing them carried on after him, and that the then added Pastoral Letters – partly written to distance from Marcion’s reading of Paul, partly, however in recognition of some of his theological view – also were given short prefaces. Tertullian must have known that Marcion’s Apostolicon did not differ in the Prologues from his own collection of Paul’s letters with the exception of the Prologue to Ephesians which in Marcion was a Prologue to the Laodiceans, and the missing of the Pastoral Letters including their Prologues. The complex relationship between the Pastoral Letters and Marcion, highlighted by the parallels in the Prologues is supporting evidence that the post-Marcionite time was still far from being a situation of entirely separate communities. Tertullian would not have taken up such a huge task of refuting Marcion, if what Marcion had given was alien to his own fellows. See D. de Bruyne, ‘Prologues Bibliques d’Origine Marcionite’ (1907), 7-8. P. Corssen, ‘Überlieferungsgeschichte’ (1909); see K.Th. Schäfer, ‘Marcion’ (1970), 135. So already J.R. Harris, ‘Marcion and the Canon’ (1906/7). See the long list in K.Th. Schäfer, ‘Marcion’ (1970), 135: A.v. Harnack, H.J. White, Th. Zahn, H. Lietzmann, R. Harris, A. Souter, M.-J. Lagrange. W. Mundle, ‘Herkunft’ (1925), except M.-J. Lagrange: Revue biblique 34 (1925), 619-20. J. Knox, Marcion (1942) accepted them as Marcionite; E.C. Blackman, Marcion (1948), 52-4 saw them originating early amongst Marcionites, but as he believed Pelagius to be the first to mention them, he thought they had only be accepted by the Catholic Church towards the end of the 4th c. AD; H.J. Vogels, ‘Einfluss’ (1953) believed them to be Marcionite, while G. Bardy, ‘art. Marcionites, Prologues’, Dictionnaire de la Bible Suppl. 5,27 (1954), 877-81 granted that they could be Marcionite, but also derive from a second c. Non-Marcionite background. H.J. Frede, Paulus-Handschriften (1964), 165-78 does not see any relation between them and Marcion, but thinks that they were made in the East during the creation of the Western Recension of Paul’s Letters, and then transported to the West. N.A. Dahl, ‘Origin’ (1978 = 2000). So U. Schmid, Marcion (1995), 288. K.Th. Schäfer, ‘Marcion’ (1970) is a masterpiece of reading and interpretation (which I only came across, after I had already written out this chapter on the prologues – I could have saved some time and grey cells, if I had read his article earlier, now, however, he confirmed most of my readings). D. de Bruyne, ‘Prologues Bibliques d’Origine Marcionite’ (1907), 4. K.Th. Schäfer, ‘Marcion’ (1970), 139. N.A. Dahl, ‘The Origin’ (1978 = 2000), 262. U. Schmid, Marcion (1995), 289 – he calls the phenomenon ‘noteworthy’ that the assumed older/alternative collection of Pauline letters to that of Marcion is only attested by Latin in Syriac witnesses where also the bigger numbers of Marcionite textual readings can be found, but from he does not draw the conclusion which seems to be rather obvious, namely that the assumption of an older non-Marcionite collection of Pauline letters is a fiction. If it existed, why would it appear only in places and in witnesses which attest also for Marcion’s presence? See Tert., Adv. Marc. V 2,1. This Prologue is only preserved in one manuscript, MS 371 of Einsiedeln (11th c. AD) and was printed as a Post-scriptum by D. de Bruyne, ‘Prologues Bibliques d’Origine Marcionite’ (1907), 12. Instead, the manuscripts have at its place a Prologue to the Epistle to the Ephesians: Ephesii sunt Asiani. hi accepto verbo veritatis persteterunt in fide. hos conlaudat apostolus scribens eis ab urbe Roma de carcere per Tychicum diaconum (The Ephesians are Asians. Once they had accepted the word of truth, they persisted in the faith. These the apostle also praises, writing to them from the city of Rome, from prison, through Tychicus the deacon). A.v. Harnack, Marcion (21924 = 1966), 5-6 = engl. trans. (1990), 4. W. Mundle, ‘Herkunft’ (1925), 24-5. See E. Mühlenberg, ‘Marcion’s Jealous God’ (1979). Tert., De pud. 2,1f. (own trans. ); see K. Beyschlag, ‘Zur Geschichte der Bergpredigt in der Alten Kirche’ (1977), 320. W. Mundle, ‘Herkunft’ (1925), 59. Tert., Adv. Marc. IV 4,1: ‘Ego meum dico verum, Marcion suum’. So A.v. Harnack, Marcion (21924 = 1966), 131*. In J. Wordsworth, H.J. White, and H.F.D. Sparks, Nouum Testamentum (1889-1954), III 41. K.Th. Schäfer, ‘Marcion’ (1970), 139 follows Harnack. Tert., Adv. Marc. V 2. Tert., Adv. Marc. V 5. Tert., Adv. Marc. V 13. Tert., Adv. Marc. V 11. Tert., Adv. Marc. V 21. Although our sources differ towards the end, the opening of the collection with Gal., 1-2Cor., Rom., followed by, as it seems from Tert./Epiph., 1-2Thess. and Laod. and Col. is likely. The position of Phil. and Philem. is less certain, and apparently, as can be seen from the Can. Sin. pseudo-Pauline letters like Hebr. and the Pastoral Letters have been included later. Corinthii sunt Achaei. et hi similiter ab apostolis audierunt verbum veritatis et subversi multifarie a falsis apostolis, quidam a philosophiae verbosa eloquentia, alii a secta legis Iud[a]icae inducti. hos revocat ad veram et evangelicam sapientiam scribens eis ab Epheso per Timotheum. The Corinthians are Achaeans. Similarly, also they heard from the apostles the word of truth, but in many ways were subverted by false apostles, some led away by the verbose eloquence of philosophy, others misled by a sect of the Jewish law. These he calls back to the true and evangelical wisdom, writing to them from Ephesus through Timothy. Thessalonicenses sunt Machedones in Christo Iesu qui accepto verbo veritatis persteterunt in fide etiam in persecutione civium suorum; praeterea nec receperunt ea quae a falsis apostolis dicebantur. hos conlaudat apostolus scribens eis ab Athenis. Ephesii sunt Asiani. hi accepto verbo veritatis persteterunt in fide. hos conlaudat apostolus scribens eis ab urbe Roma de carcere per Tychicum diaconum. The Ephesians are Asians. Once they had accepted the word of truth, they persisted in the faith. These the apostle also praises, writing to them from the city of Rome, from prison, through Tychicus the deacon. Colossenses et hi sicut Laudicenses sunt Asiani. et ipsi praeventi erat a pseudoapostolis, nec ad hos accessit ipse apostolus, sed et hos per epistulam recorrigit. audierant enim verbum ab Archippo qui et ministerium in eos accepit. ergo apostolus iam ligatus scribit eis ab Epheso. The Colossians, they too are Asians, just as the Laodiceans. And even though they had been reached by pseudo-apostles, while the apostle himself had not reached them, even them he corrects through an epistle. For they had heard the word from Archippus, who also accepted the ministry to them. The apostle therefore, already arrested, writes to them from Ephesus. Philippenses sunt Machedones. hi accepto verbo veritatis persteterunt in fide, nec receperunt falsos apostolos. hos apostolus conlaudat scribens eis a Roma de carcere per Epaphroditum. He composes a familiar letter to Philemon on behalf of Onesimus his servant. He writes to him, however, from Rome, from prison. Likewise he writes to Timothy concerning the exhortation of martyrdom and all aspects of the rule of truth, and what will be in the last times, and concerning his own passion. Titum commonefacit et instruit de constitutione presbyterii et de spiritali conversatione et hereticis vitandis qui in scripturis Iudaicis credunt. He warns and intructs Titus concerning the constitution of the presbytery and concerning spiritual conversation and heretics to be avoided who believe in the Jewish scriptures. The first noticeable feature of these Prologues is the highlighting of the addressees – they are the Galatians, the Corinthians asf., but they are not just what they are called in Paul’s letters, but the Prologues identify them, first, the Galatians, probably pars pro toto, as ‘Greeks’ (Graeci), then with their respective regions, the Corinthians as ‘Achaeans’, the Romans as those living ‘in the regions of Italy’ (in partibus Italiae), the Thessalonians and Philippians as ‘Machedonians in Christ Jesus’ (Machedones in Christo Iesu), the Ephesians, Colossians and Laodiceans as ‘Asians’ (Asiani). As such, the Prologues sees the believers against the backgrounds of where they are coming from, where they live and this way of life is impacted by the Apostles’ ‘word of truth’. That the Apostle has to call the audience back to the ‘belief of the truth’, it is certainly not about dogmatic truths and the removal of errors, but about a way of life which according to the Prologues was perverted by ‘false Apostles’ who have led away from the Apostles’ way of life according to the ‘word of truth’ to that of Jewish practice according to the Torah, ‘the Law and the Prophets’. Following de Bruyne, Harnack has highlighted that these Prologues – he made the exception of the Prologues to the Pastorals which he believed were of a different character – belonged together. Their Marcionite character were seen by the order of the letters which was gained by internal evidence. The indication of ‘similiter’ in the beginning of the Prologue on 1Cor. was highlighted by de Bruyne as a references that presupposed a Prologue to a letter where also mention must have been made to people who had ‘heard the word of truth’, something which is only re-occurring in the Prologue to Gal. (different, for example, we read in the Prologue to Eph., Phil., Thess. the mention of having ‘accepted the word of truth’). The counter-argument to de Bruyne and Harnack, mounted by W. Mundle, that this ‘similarly’ of the Prologue to 1Cor. could also refer to the second part of the opening of the Prologue to Rom. (‘They had been reached by false apostles’), has already been questioned by Mundle himself. What needs an explanation, is the change from the plural ‘similiter ab apostolis’ (Prol. 1Cor.) to the singular ‘ab apostolo’ (Prol. Gal.) which, however, is expressed in the ‘similarly’ (otherwise, one would have expected an ‘item’ or alike): The Corinthians were not introduced into the word of truth by Paul himself, but by the Apostles. In this assertion, the Prologues may refer to the opening of 1Corinthians (1:10-7) where Paul mentions that he was not the one who baptized the majority of the Corinthians, but that he only came ‘to preach the gospel and not with clever speech’. With the Prologue mentioning that the Corinthians heard ‘the word of the truth from the apostles’, not from the Apostle, and that they also suffered multiform subversion from false Apostles, one wonders whether what follows only refers to the false apostles (‘the verbose eloquence of philosophy’ and the misleading ‘by the sect of the Jewish law’) or whether the first part is equated with the way, in which these Apostles announced the word of truth, while the false Apostles are those from the ‘sect of the Jewish law’. The ‘multifarie a falsis apostolis’ point to the first option, yet with regards the results, there is no big difference in content: The Corinthians’ hearing of the word of truth by ‘the Apostles’ did not make them ‘accept’ it, as it happened in the case of the Galatians who not only heard the word of truth from ‘the Apostle’, but also ‘accepted’ it and only after Paul had departed were tempted by false apostles. Hence, the Corinthians were prawn to become subverted by false apostles. It is clear from the opening two prologues that the contrast is not only made between Paul and false apostles, but also between him as the Apostle, the plurality of apostles and the false apostles. As a result, Paul has a double task to call the Corinthians back to wisdom, away from the misleading verbose eloquence of philosophy to true wisdom, and away from a Jewish Torah orientation to the wisdom of the Gospel. The Prologue to 2Corinthians picks up on 2Cor. 1:3-2:13 and the discussion of penitence and consolation. Paul is lead to praise and exhort the Corinthians without reprimanding them. Our reading of these Prologues reveals important Marcionite features, the most obvious being the three-fold difference between ‘the Apostle’, ‘the apostles’ and ‘the false Apostles’. Paul is not mentioned by name in any of the Prologues, but it is clear that the author of the letters is the Apostle. The ‘word of truth’ and the ‘belief of truth’ reminds of Paul in Gal. 2:5.14 (hJ ajlhvqeia tou' eujaggelivou) and Tertullian reporting Marcion’s claim that his Gospel was the ‘true’ one, and also Papias’ discussion in the Prologue to John. The first Prologue on Galatians is even more explicit. The temptation that befell the Galatians was not a more general one, to move away from Paul, but a specific one, namely to move away from the ‘word of truth’ and to convert towards ‘law and circumcision’ (lex et circumcisio) which, as the next Prologue of 1Corinthians specified, was a conversion to the ‘sect of the Jewish law’ (secta legis Iudaicae). As has been noted – and for a long time already been seen – these Prologues are referring to each other, although they must not have been given in a list prefacing the entire collection of the epistles – as their later transmission prefacing each of the letters proves. Although Henry J. White played with the idea that they may derive from Marcion himself, Harnack rejected this suggestion with the argument that Tertullian had not overlooked them, but had brought their nasty tendency to light, but in his footnote partly withdraws from his counter-argument, as he sees the parallelism between the Antitheses and these Prologues; they both only regard the respective texts to which they introduce under the main topics of Marcion’s teaching. Harnack, however, and if I am not mistaken all scholars after him, missed that Tertullian, indeed, knew these Prologues and draws on them in each of the openings of his commentary on Marcion’s version of Paul’s letters (except for Eph. which is a special case, as Marcion saw this letter written to the Laodicenes). That Tertullian in his commentary on Marcion’s version of Paul’s Galatians mentions first ‘the abolition of the ancient law’, ‘the dismantling of the law, and the establishment of the gospel’ is a first slight hint that he may have even had access to our Prol. Gal. Tertullian’s reference to the Prologues is, however, supported and fully confirmed by his discussion of the next epistles. In the opening on 1Corinthians he widely discusses the topic ‘wisdom’, in that on 2Corinthians he first widely deals with God’s ‘mercy’ where, against Marcion, he tries to show that God must also be thought of as ‘judge’. Perhaps the clearest evidence derives from Tertullian’s discussion of Romans. Here he himself admits in his first sentence that he wishes to skip many topics, as they had been dealt with already, but the one element that he picks up is precisely what is hinted at in Prol. Rom., the ‘law and prophets’ and their antithesis to the gospel. Tertullian mirrors the Prol. Rom. which specifically refers to the Scriptural basis of the Jewish sect, the ‘Law and the Prophets’ (lex et prophetae). This insistance of the antithesis between ‘the Apostle’ and his ‘word of truth’ on the one side, and on the other side the Jewish sect, expressed in both their fundamental signs of the covenant, the identity marker of circumcision and their sacred Scriptures, fully matches what we have learned from other sources about Marcion’s views. Further proof that Tertullian is reflecting the other Prologues, is giving in his discussion of persecution in the opening on 1Thess. (Adv. Marc. V 15), the eschaton in the beginning on 2Thess. (Adv. Marc. V 16) with ‘the revelation of the Lord Jesus when he comes from heaven’ and the revelation of ‘the son of perdition’, ‘the antichrist’. In his opening of the discussion of Col. in Marcion’s collection he debates the apostolicity of the Gospel (Adv. Marc. V 19), and in on Phil. the ‘various fashions of preaching’ (Adv. Marc. V 20). If, however, Tertullian, mirrors these Prologues, he must have read them as prefaces to the respective letters, and they can only derive from Marcion himself. And if so, we have re-discovered the first authentic writings of our Roman teacher. The Apostles’ task is to call back, to exhort or correct the believers (revocare: Prol. Gal., Prol. 1Cor., Prol. Rom. ; hortari: Prol. 2Cor., recorrigere: Prol. Col.), but he is not judgemental, but praises people (conlaudare: Prol. 1Cor., Prol. 1Thess., Prol. Eph.). Even where mention is made of ‘penitence’ (paenitentia: Prol. 2Cor. ), Paul’s consolation is made of a praiseful exhortation (‘conlaudans eos hortatur ad meliora’). If there is one passage which Tertullian fully embraced in all its radicality, then it is the commandment, not to judge (Luke 6:37). In his work De pudicitia which, according to Karlmann Beyschlag had better been called ‘De impudicitia’, Tertullian adopts Marcion’s own arguments: ‘God is good, the best, the merciful … therefore, he does not want the death of sinners, but their penitence … therefore, we too shall be sons of God, merciful, peaceful, forgiving each other, as Christ forgave, without judgement, so that we will not be judged’. We cannot find any criticism against Marcion in Tertullian about the radicality of this commandment. Instead, he uses the passage to turn it into an argument in favour of a God of rewards, stressing with Marcion the non-judgemental God who is not condemning, but merciful, peaceful and forgiving. The Prol. Rom. brings another Marcionite feature, it is the claim that the false apostles did not only misled the Romans into the Law and the Prophets, but that this happened ‘in the name of our Lord Jesus Christ’. This is perhaps the closest parallel description of what we read above when according to Tertullian Marcion complained that his own Gospel was used, copied and linked back to the Law and the Prophets. These false apostles did not only use the Law, but made the Lord Jesus Christ himself misleading the way to the sect of Judaism. Hence, the Prologue’s statement that Paul had to call the Romans ‘back to the true evangelical faith’, the faith expressed in the true Gospel. Unlike the addressees of the previous letters, the Thessalonians ‘persisted in the faith’ and this despite being persecuted ‘by their fellow city’. Moving from content to structure, we can follow de Bruyne and Harnack in their observations which were even accepted by Dahls and Schmid that the opening order of letters (Gal., 1-2Cor. ), indeed, matches the one which we have seen above to be that of Marcion’s collection. When Mundle infers that this is also the order that some important witnesses of the Syrian Church like, for example, the above listed Can. Sin. and Ephrem display, he, again, admits that their sequence ‘somehow derives from Marcionite influence’. In both cases, therefore, while trying to argue against de Bruyne and Harnack, he is rather confirming their position. In contrast, he thinks, to have a stronger case pointing to the existence of Prologues to the Pastoral Letters which according to our sources Tertullian and Epiphanius where not part of Marcion’s Apostolicon. Before we look at these Prologues, let us review the content of the other ones which has not been fully explored in previous scholarship. Who has read through these Prologues, will admit that they are not only similar in style and vocabulary to the point of becoming repetitive, but that they also refer to each other, as already seen from the ones on 1Cor. referring to Gal. Indeed, as de Bruyne and Harnack have already highlighted (and which has only been confirmed by Dahls), the Prologues display important Marcionite features, not all of which have been detected by scholars in the past. Before we look at detail, I’d like to draw our attention to the order of letters which provide us already with the first unrecognized Marcionite element. U. Schmid has rightly worked out – on the basis of the information that is given in the Prologues – that the letters are given in historical order: Gal. and 1Cor. are written from Ephesus, 2Cor. from Troas which is on the way from Ephesus to Corinth, from where Rom. is written. 1-2Thess. are written from nearby Athens. The next letters are all written while Paul was a prisoner, although the location alters between Ephesus (Col.) in Rome (Eph., Phil., Philem.). And yet, the only indications Paul gives from where he wrote letters are 1Cor. 16:8 (‘I will stay in Ephesus until Pentecost’) and 1Thess. 3:1 (‘we decided to stay on in Athens alone’). In addition, he added in Philem. 9 that he was ‘an old man and even now a prisoner’ which provided a good reason, for placing this letter last in the collection. To what Schmid has seen as a historical ordering, we have to add that the letters also epmhasize geography on a line between Ephesus and Rome, which, of course, reminds us of Papias’ mention of Marcion’s acquaintance with John (in Ephesus) and the place where Marcion went teaching, Rome. As the repetitive insistence at the end of each Prologue (which only changes with the Prologues to the Pastoral Letters) shows, the organisation of the Pauline Letters not only followed – as indicated by Tertullian – a theological agenda, but also a geographico-historical one, and in this expresses the same feature as does the opening of Marcion’s Gospel which begins with the Saviour’s coming down into historical time and space (‘In the fifteenth year of the reign of Tiberius Caesar, when Pontius Pilate was governor of Judea, Jesus who had come down from above into Capernaum, a city of Galilee, appeared and began teaching in the synagogue’). It is, however, especially characteristic that all the epistles (except the epistula familaris to Philemon) have been searched only for information as to the attitude of the respective Churches towards the "verbum veritatis" (Gal., Cor., Thess., Phil.) or to the "fides veritatis" (Gal. ), the "vera evangelica sapientia" (Cor. ), the "vera evangelica fides" (Rom. ), and the "fides" (Thess., Phil.). Under these suitably varying expressions Pauline Christianity (assumed to be independent of the Old Testament) is always to be understood.3 This point of view is simply imposed upon Thessalonians and Philippians. In the Prologue to Colossians "verbum" without the epithet "veritatis" probably means the false Gospel. I am not convinced that the Syriac canon is 'Marcionite' or even that the Marcionite canon was Galatians first. How do you explain Ephrem's commentary where Galatians appears first? And Tertullian never says that Galatians appears first in Marcion's canon. It just appears first in his commentary because it did in his source (Epiphanius follows the same source or one closely related and goes on to develop his own conclusions). Principalem adversus Iudaismum epistulam nos quoque confitemur quae Galatas docet. It's curious that Tertullian 'also' acknowledges the Marcionite contention that the letter is 'first' in some respect. Yet the traditional translation assumes that he 'acknowledges' 'gives thanks' or 'praises' (confiteor) that the letter to the Galatians is 'against Judaism.' Really? But where is this argument anywhere in what follows? All Tertullian does in fact is attack the Marcionite proposition that Christianity is against Judaism. And to repeat the Commentary of Ephrem is decisive in acknowledging that Catholics (of some stripe = Palutians) had a Galatians first canon. If the original source behind Tertullian and Epiphanius (it is certainly a common source because all our other sources i.e. the Philosophumena, Clement of Alexandria, Origen, Adamantius, Ephrem etc give us DIFFERENT alterations; Schmid and other scholars just pretend that Tertullian and Epiphanius are independent sources so as to allow them to have something 'firm' on which to build a thesis - we know less than nothing for certain about the Marcionites) came from that Galatians first tradition (which is quite reasonable given the likelihood that Irenaeus is the original source and Irenaeus's citations of New Testament scripture agrees with the Old Syriac) then all that is certain is that BOTH the Galatians-first Catholic tradition and the Marcionites saw the epistle as being of 'principle' (or 'of the first order') in significance. as legacy the gospel, sealed moreover with their own blood" (Against Marcion 4.5). There are other references in Against Marcion which reflect the Corinthians first ordering. This is the problem with Trobisch's theory (and most everyone else). He (they) over simplifies the actual situation with respect to the New Testament canon. I guess that's how you 'make it' in scholarship (i.e. have everyone agree to an oversimplification and then pontificate in this artificially created universe). The reality is much less certain. I'm reading this book of B. Adamczewski that is even more radical than Dykstra into seeing pauline influence in Mark. Quite surprisingly, the almost unkown, northern, Galilean village (Jos. Vita 403) or place of Capernaum (Jos. B.J. 3.519) was presented by Mark as a 'city' (pólis: Mk 1:33). Evidently, the evangelist again used here the hypertextual procedure of spatial translation, and by means of the reference to the northern 'city' of Capernaum in fact alluded to the well-known northern city of Damascus (cf. Gal 1:17c; 2 Cor 11:32). This is interesting because if you concede that Mark here has in mind Paul (Gal 1:17c) as reflected image of Jesus and therefore Capernaum=Damascus, and since Marcion begins his Gospel with Jesus came down in Capernaum, I ask you what means for Marcion that particular incipit with ''Capernaum''? Did Marcion think, like Mark after him, that ''the Son was revealed in the person, teaching and course of live of Paul'', and therefore that in his first Gospel the life of Jesus was meant as allegory of Paul's life with the aim to vehicle better the meaning of the same historical but docetic Jesus Christ? Jesus came down to ''Capernaum''/Damascus because Paul started his predication of Jesus there? The question more precisely is: is Mark influenced by Marcion for this method so well described from Adamczewski? if yes, then was Marcion the first to allegorize Paul's life (sequentially following Galatians in a hypertextual way) to cast Paul in his Gospel Jesus? I read in your Marcion and the dating of Synoptic Gospels (p.275-276) that the parable of new wine into new and not old wineskins is essentially a product of Marcion in his first Gospel, later present (and sanitizied) in all other Gospels. I recognize that Matthew and Luke have cast that parable in a more proto-orthodox sense, in reaction to Marcion. But the problem for me is still the relation Mark <---> Mcn: who is the first between them? Mark doesn't change that parable but describes it in same way like Mcn. ...by means of the scriptural allusion to Josh 9:4-6.13 LXX futher illustrates the ideas of Paul's coming to the Jewish city in a poor condition from a far Gentile country (Gal 1:18a) and his generally not being welcomed there (Gal 1:19a). I am open to the concrete possibility that Marcion derives midrashically from the Septuagint, under the conditio of putting an implicit antithesis between 'Old Testament' hypotext and 'New Testament' hypertext. But what is his point in referring to Josh 9:4 if not (only and only) the allusion to historical contrast Paul versus Pillars during Paul's first visit to Jerusalem? It would seem that the marcionite nature of parable is secondary in respect to this plausible markan interpretation of the same parable based on Galatians. What do you think about Adamczewski’s ideas?